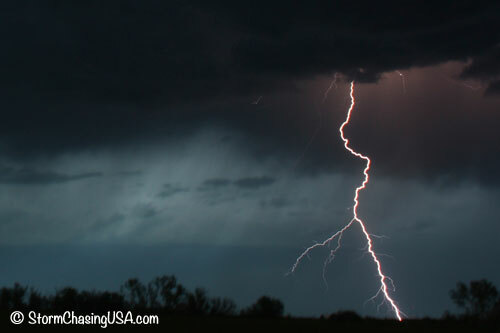 It was not until my third storm chasing tour where I bought a tripod in order to be able to take some lightning shots. I bought it at WalMart for about $15 and it was among the cheapest ones but it did the trick. Using the BULB feature on my Canon I was able to take these lightning shots. 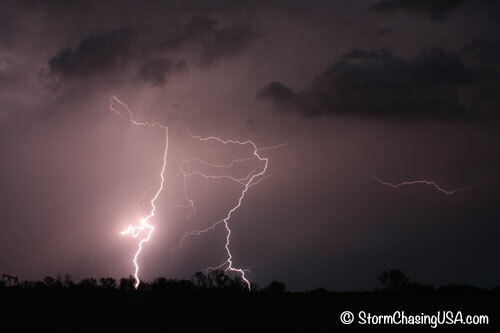 The most difficult thing was to catch the lightnings in the frame, many of these photos were cropped to a fraction of the original size since the lightning appeared in a corner almost every time. Outside of cropping and resizing, these images have not been improved in Photoshop. This lightning was nearly missed and appeared in the bottom right corner. 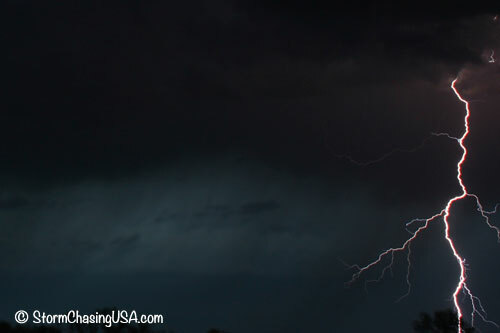 Unfortunately, I didn’t get the entire lightning but is still one of my best lightning shots. 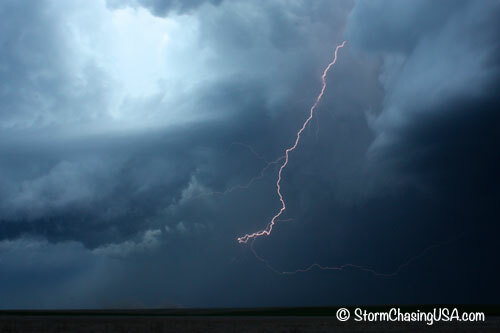 Also one of my best lightning shots, a bit better framed than the one above. I love how you can see the redish light in the cloud. I like how you can follow the full length of this lightning bolt, and how it kind of makes a turn to the right.